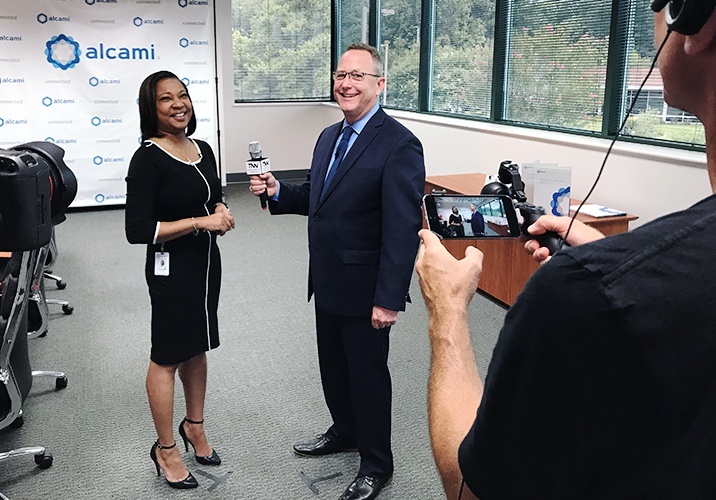 Natasha Howard, Site Director, MCC of Alcami, discusses the expansion of the company’s parenteral manufacturing capabilities with the addition of its Charleston, South Carolina facility. Watch the full interview. Alcami’s Charleston, South Carolina facility is one of seven global sites within the organization, housing our parenteral manufacturing capabilities in a controlled cleanroom environment to allow for suitable and efficacious product and support our ability to manufacture liquid product that fills 2 ml – 50 ml vials. Our product presentations include liquid, lyophilized, suspensions, and emulsions as molecules. In 2016, Alcami invested over $22 million in our seven sites, and in the past two years, we have invested $5 million in our Charleston site alone. We are progressively working to ensure long-term reliability of our equipment, facility, and utilities with the investments being implemented as a part of this initiative, helping to position Alcami as a reliable partner that meets the needs of our clients and, ultimately, patients. As Alcami consistently reviews industry trends, we’ve noticed a steady increase in demand for pre-filled syringes, especially in the clinical space, and are building our capabilities in this area where the need is greatest. The pre-filled syringe solution is preferred by some clinicians for its ease of use in dosing. We collaborate closely with our Wilmington site, which generates prefilled syringe samples for clinical use. Alcami is well-positioned to effectively serve small to medium-sized developers through a number of factors. The ability to offer end-to-end solutions in streamlined systems offers a competitive advantage in terms of timing from API manufacturer to drug product release. Additionally, we are able to provide technical expertise to develop and optimize processing, including formulation and lyophilization. We are a flexible and creative partner to our clients, and we are always working to support their varying needs. Alcami began investing in serialization several years ago at our Wilmington, North Carolina packaging facility, and we are installing equipment for serialization in both of our packaging lines this year, well before the regulation is implemented. We are currently taking our customers through the onboarding process, which can be complex, to ensure a smooth transition with the changes. Alcami offers individualized development and manufacturing services that can be integrated for a less fragmented and faster pathway for products. With seven sites across the globe, Alcami's combined capabilities include API development and manufacturing, solid state chemistry, formulation development, analytical development and testing services, clinical and commercial finished dosage form manufacturing (oral solid dose and parenteral), packaging and stability services. 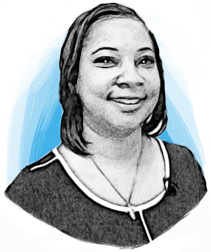 Natasha is responsible for the operational activities of the parenteral arm of the Alcami organization. With 16 years of experience with aseptic processing and transformational leadership, yields a site poised to be a contributor to a world class pharmaceutical organization focused on safety, compliance, and a partner to our clients. She has been a member of the Alcami organization for almost two years, and is excited about the growth and potential of the organization. She is a native of North Carolina and has spent time in Ohio, California, and is now enjoying the beauty and hospitality of the Charleston area.